Our inquiry focused on valuables in South India and Western Mexico, particularly the frameworks of calculation and the financial instruments involved when they are generated, stored, accumulated, mobilized and exchanged. At first glance, these sites seem very different, but in both our Indian site in the South Arcot region of Tamil Nadu and our Mexican site in the municipality of El Grullo, agriculture is a very important activity, and capital from outside of the area (such as petrochemical and horticultural industry). Both also have strong histories of social credit and savings associations like rotating savings and credit associations (ROSCAS). In exploring calculation and financial instruments, we came across the relevance of gold, both as a marker of status and a representation of value. As we documented the ways in which it was deployed in the two different social, cultural and geographic contexts, we found striking differences, however. Such differences reveal important issues concerning the nature of social relationships involved in the processes of valuation, mobilization, accumulation and exchange. Our findings confirmed a wealth of financial activity, including pawnbroking, informal lending, borrowing from relatives and friends, and intense participation in credit and savings cooperatives, ROSCAS and micro-financial institutions. But more than a few participants in microfinancial institutions were in large amounts of debt. Arrangements made to meet payments often involved third parties and the translation of one type of valuable into another. In the Indian region studied, for example, households had a higher propensity to engage in debt than Western Mexicans. But in both contexts debt was fragmented along class and gender lines, as well as caste in India and ethnicity in Mexico. In the latter region indigenous migrants struggled for access to different sources of money lending. Diverse forms of saving were resorted to in both countries, mostly for the short and medium term. Investments for the future tended to be in the way of buying land, a house, a vehicle or a small business. But the most resorted to in the Indian region studied were gold and ROSCAS. In Mexico, gold and jewelry were less valued as a form of investment than were cattle or housing. Cattle were not regarded as a form of saving in India due to the sluggish market, but were, like in Mexico, a matter of status. In Mexico, saving in money tended to meet short and medium term needs. In terms of accumulation of patrimonial assets, it was ‘inefficient’ if what was sought was to multiply existing resources, since such assets were not very fungible. This could entail loss of opportunities. We are here speaking of two different circuits of valuation. On the one hand, agricultural land and housing provided security for families, but their acknowledged value relied less on the market than on the utility they provided. But if the intention was to invest in the market, the value of “access capital” in terms of information, contacts and the possibility of speculation could be greater than the value of the asset itself. Gold constituted an important alternate form of savings in both countries. It provided material wealth that could be held, measured and displayed. In the Indian region studied all households owned gold, an average value of which was 105,519 INR (around 2,321 USD), but 76.5% of it was pledged to pawnshops. Gold enhanced women’s status and helped entice good husbands for their daughters. It was used as a form of protection for daughters who were less powerless in their households because they had valuable possessions that could be pawned. In Mexico only 7.5% reported owning jewelry, although through our ethnographic inquiries we know that more than a few pledged jewelry (and as is also testified by the number of pawn shops mushrooming in the area), it was not well reported as relevant in the survey. However, 16.25% of households have lost an electronic home appliance to pawnbrokers. 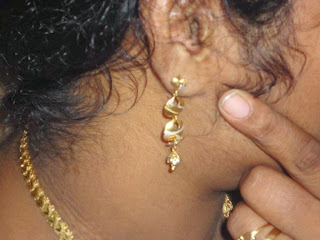 In rural Tamil Nadu, gold could be considered as a buffer, with jewelry pledged and very often sold in case of problems. When women were asked how they coped with emergencies, their first reply was often: "the things I wear on my ears and hands." Gold was a very efficient means of speculation as the gold rate constantly grew. Gold could also be considered as a form of long-term saving. Women tried to buy gold regularly for the marriage of their children, to prepare for the ceremony and the many gifts they would have to distribute. But gold was first and foremost an ostentatious item and an outward sign of social status. Women displayed their jewelry at social and religious rituals, particularly marriages and puberty ceremonies. Alongside clothing (sarees), jewelry was a true marker of local hierarchy. There was an important gendered aspect to gold, since it was one of the few assets women could actually own. It was inherited at marriage, the mother seeking a form of security for her daughter. Some forms of jewelry were very discrete (e.g. taking the form of very small spheres (kundumani) which women hung on their necklaces). Much jewelry circulated among women and their reciprocal exchange was instrumental in the creation and strengthening of women's solidarity. Men often found it difficult to assess their monetary value, while women were more experienced in distinguishing gold from gold-plated jewelry, establishing genuine from fake, and evaluating depreciation due to wear. Women played with these aspects in order to estimate what they possessed, and were sometimes more effective in dealing with pawnbrokers, visiting in groups in order to negotiate prices in a context where interest rates varied little, but the amount of cash per gram changed considerably. In Mexico, on the other hand, too ostentatious a display of jewelry was considered inappropriate. While people did value gold and silver, they tended to keep them in safe places and only pledge them when it was absolutely necessary. Rather, status markers for men included vehicles, large watches and fancy boots or cowboy hats, and for women, clothing. However, women tended to prefer a solid house, a cow, or a piece of land as a way of storing value. It is telling that in Mexico people used 14 karat gold the most, while in India they tended to use 18 karats. Also the circulation and exchange of gold was much more intense in rural Tamil Nadu than in Western Mexico. As well as displaying many types of value production, accumulation and types of transaction, a focus on the use of gold is useful to explore the diverse forms of financialization that are taking place. These entail diverse modes of social organization (gender regimes, caste, ethnic and class hierarchies), patterns of social hierarchy, predominant moral criteria and forms of valuation. They thus reveal the bare bones of social relations and processes of valuation that underlie financial transactions. The social fabric of finance, saving and debt and its consequences in terms of vulnerability and over-indebtedness has been explored in more detail in an edited volume Microfinance, Debt and Over-Indebtedness: Juggling with Money. The statistical data reported in the document come from a survey done with 400 households in each region within the RUME project (www.rume-rural-microfinance.org). On Monday, October 14, IMTFI and the Claire Trevor School of the Arts had the pleasure of hosting artist Máximo González at the opening of our exhibition Figuring Exchange: Art and Money. 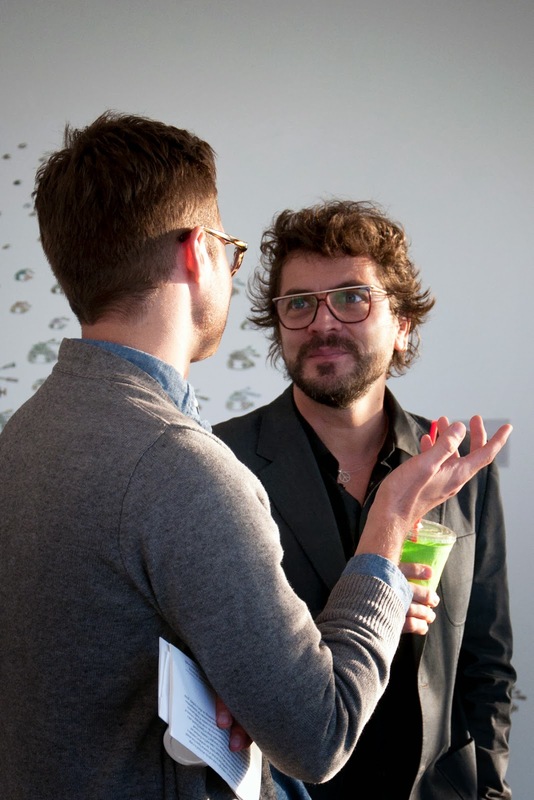 Born in Argentina, González relocated to Mexico City in 2003 where he has developed an artistic practice that centers on the collection and transformation of decommissioned money. In his presentation with partner and collaborator Ivan Buenader on Monday, González showed a wide range of pieces that draw upon the techniques of craft and conceptual art to paint, cut, weave, and delicately assemble discarded bills and coins. These various techniques yield equally diverse results. González's money pieces include figurative murals of debauched historical figures and fantastic machines that ravage landscapes; abstract weavings and collages that deconstruct money’s figurative powers; and performance pieces that enact the ambiguities of value and exchange. The exhibition will run at UCI until Friday. See below for more details. Photos of the exhibition and presentation can be seen here. I first met González and Buenader while conducting fieldwork for my dissertation in Mexico City. A number of visits to their studio housed in a former convent in Mexico City’s colonial center offered an opportunity to view a wide range of González’s work and to witness the fastidious labor that goes into this delicate practice. The studio was full of bags of shredded bills, tables covered with finely cut money, and walls hidden by sections of massive installations. The two were in Los Angeles this month to develop an installation at UCLA’s Fowler Museum for the museum’s fiftieth anniversary. González’s dizzying and colorful Walk among Worlds - a tangle of inflated globes that consume the museum’s courtyard and jut out of rooflines and arches - can be seen there through November 3. An invitation to give a talk at IMTFI while the two were in Southern California quickly grew into a small exhibition that would tackle the intersections of art and money more broadly as pieces were offered up by the artist, collectors, UCI faculty, and IMTFI’s director, Bill Maurer. are inevitably material and aesthetic." 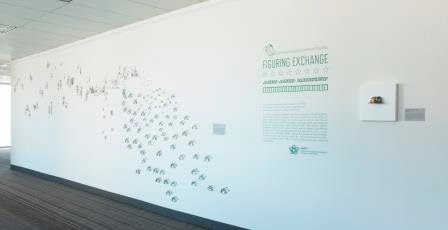 Figuring Exchange features two major installations by González, as well as art and artifacts drawn from IMTFI’s collection and from a number of private collections. These objects range from shell valuables, paper bills, and trade beads to trompe l’oeil paintings and political cartoons. Through this eclectic collection, the exhibition aims to present a number of insights about money that are common in the work of IMTFI researchers: money is always made and processes of making are inevitably material and aesthetic; artists’ representations of money offer a useful means of thinking about the questions of representationalism inherent in money’s own functioning; and money - as a suite of material objects and practices - is always open to its own transformation, whether through the artist’s manipulations or the daily practices of users. In bringing together the work of artists like González and some of the mundane artifacts of daily payment and practice included in the exhibition, I hope that Figuring Exchange can bridge conversations about money and its meanings in art and the social sciences. Seeing the excitement on the faces of researchers as they looked at González’s work, I think this might have started on Monday night. Figuring Exchange: Art and Money runs until October 25. 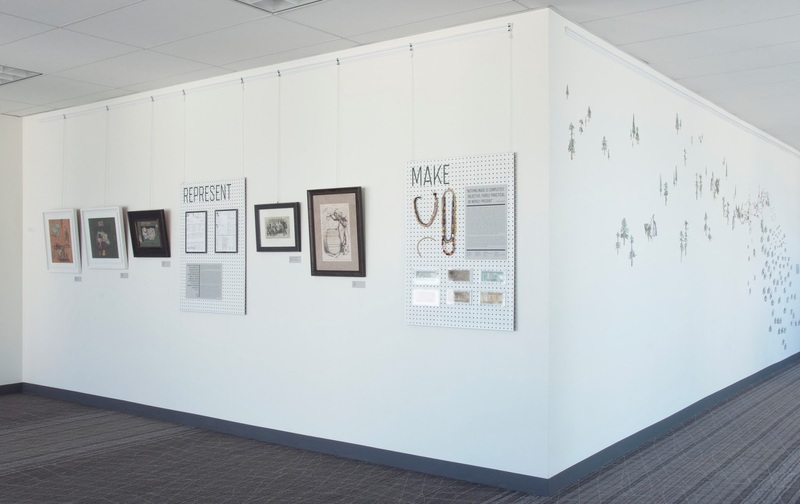 The exhibit is open from 2-6pm in the Contemporary Arts Center Outreach Gallery, Room 3100A in the Claire Trevor School of the Arts at the University of California Irvine. Parking is available at the Mesa Parking Structure. Robert Kett is curator of Figuring Exchange, a research assistant at IMTFI, and a doctoral candidate in anthropology at UC-Irvine. Every movement has its founding myths. These stories are rarely manufactured during the early struggle to catch attention. Rather, they develop at the onset of success, and tend to be retrospective reinterpretations designed to give a greater sense of purpose and method to what happened along the path to success. Myths generally have a strong basis of fact, at least initially, but they always play very selectively with those facts, and usually get disconnected from the facts through noisy repetition. Never let the facts get in the way of a good story. 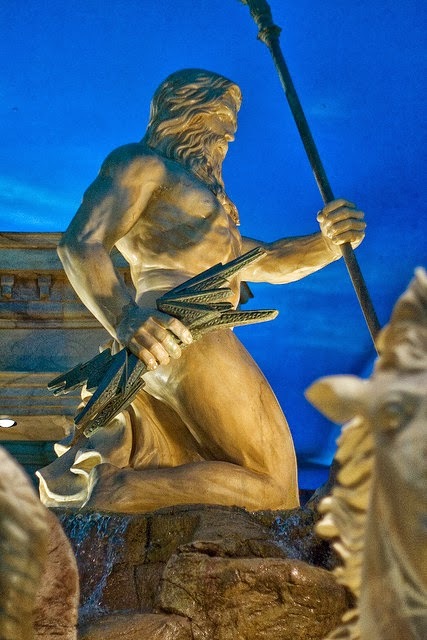 Founding myths serve to give a sense of inevitability of outcome; to create a sense of order in the inherently chaotic process of challenging and innovating; to create inspiring figures (individuals, organizations) that others can seek to emulate. In modern parlance, we call them case studies. Mobile money is now cool, and it has attracted many of the trappings of a movement. Never mind that it’s just applying the logic of prepaid cards and internet banking on mobile phones, which are the only digital devices that most people in developing countries happen to have. 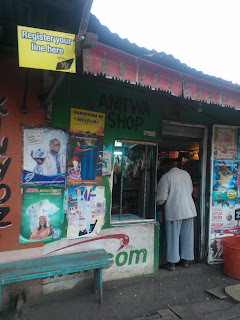 In a cold business analysis, mobile money is simply the application of a secure, real-time, digital infrastructure permitting banking to shift from costly direct channels (branches, ATMs) to much more distributed indirect channels (stores as agents) and even to self-service (mobile) channels. So what are the founding myths of mobile money, those origin stories which have inspired the industry? I would say there are two: agent banking in Brazil (even though agents tend to be connected through bulkier point-of-sale [POS] terminals rather than mobile phones, but that’s just a technicality because POS terminals carry a SIM card within them), and Smart Communications’ mobile money service in the Philippines. These two aspects, plus excellent messaging of customer benefits, are the three legs that Safaricom stood on to build its wildly successful M-PESA service in Kenya. A critical enabler or component of mobile money is the conversion of cash to electronic value through non-bank retail outlets, and here Brazil is touted to this day as the poster child. Agent banking regulations date back to 1999, and by end-2008 (the dawn of the M-PESA era), Brazil had over 140,000 agents (correspondents, to use their term). Sure, Brazil is a large country, but not even Kenya today comes close to that. Here we see the key ingredients of a founding myth. One element of myth-making is the injection of purpose. What the Central Bank of Brazil sought to do with its agent regulations was not so much to create new channels but rather to find a place within the law for a constellation of existing semi-formal and outright informal players who resold or brokered bank services to clients. The central bank was driven by consumer protection concerns (clarifying obligations and responsibilities across existing players) rather than by aspirations of financial inclusion. Equally, banks did not see agents as a way to offer more convenient service to existing customers or to seek out new ones, but largely as a way of getting non-customers out of their banking halls. That’s because of an unusual provision in the Brazilian banking law, which stipulated that bill payment was a banking service and hence could only be conducted at banking outlets. Banks largely sought to shift this mass of bill payers onto non-bank retail outlets while respecting the letter of the law – agents, bingo! By end-2008, 75 percent of agent transactions were still bill payments, and only 5 percent were deposits. Another element of myth-making is the misleading interpretation of data. Of those 140,000 agents in end-2008, only some 37,000 offered cash in/out services. The rest were a plethora of brokerage services for loans, mortgages, pensions, insurance and such. And two-thirds of these 37,000 I’d be hard pressed to count as a novel kind of retail agent. This figure includes the lottery houses, directly owned by Caixa – no arm’s length there. And it includes the post offices which Bradesco was running as a postal bank – as if postal banks didn’t have a long tradition elsewhere. If you exclude these agents, you are left with far fewer agents than there were bank branches (circa 19,500) at the time. Now onto the mobile phone. Smart Communications is rightly credited as being the daddy of all mobile money systems in developing countries, launched in 2001 and hence predating M-PESA by an impressive six years. Smart Money was the first operator to create a secure platform permitting customers to access a bank account securely from any mobile phone. Smart Money was much celebrated in its day, but its shine has now worn off, largely because of its paltry performance compared with M-PESA. Was the touted success of Smart Money a mirage? No, it’s simply that Smart Money was not intended to be what later mobile money enthusiasts have wanted it to be. Smart Money was conceived not as a person-to-person money transfer system but rather as a mechanism to broaden the base of electronic airtime distributors across the operator’s customer base. Here was the thinking: if customers’ prepaid airtime account could be linked to their bank account, they would be in a position to buy as much airtime as they needed, on the spot. Combine that with the ability that users already had to transfer airtime to each other, and now any Smart Money user could become a Smart airtime reseller – in the process earning airtime commissions, which have historically been very high in the Philippines. So Smart Money was designed as an enabler for airtime distribution, rather than as a consumer product in its own right. The design implication was that a cash in/out network was not so important: the money would come from linked bank accounts rather than from cash, there would be little cash-out since the money would go primarily into buying airtime, and in any case juicy airtime commissions to business-minded customers would compensate for any inconvenience from having to go to a distant or crowded bank branch to deposit cash. But precisely because Smart Money (and G-Cash, which came after it) underplayed the importance of the cash network, transitioning it to a consumer product à la M-PESA proved very difficult. All this is not to downplay the importance of Brazilian agent banking or Smart Money as precedents for what has come later in branchless banking. Their significance will be better understood if we look at them from the lens of the problems they were trying to solve at the time, rather than the problems we wish they had been trying to solve. If you don’t do this, you’ll be puzzled if you go to Brazil and notice the low level of banking (non-bill payment) transactions still happening through its agents. And if you go to the Philippines, you’ll be surprised to find so few people who send mobile money to each other. It’s only fair that we tell their story their way. My respect goes to them – and to M-PESA which was the first to combine these two stories –the agent and the mobile side of things—to great effect. Ignacio Mas is an independent consultant on technology-enabled models for financial inclusion. In November 2012, Anuj K. Shah, Sendhil Mullainathan, and Eldar Shafir published a paper titled "Some Consequences of Having Too Little" in Science magazine. One of the key findings was that poor people make bad decisions not because they are stupid, but because they get overwhelmed. The study attempted to discover why people who are poor seem to exist in a vicious cycle of poverty. The authors concluded that the poor don't have the mental bandwidth needed to handle some other life challenges. What consumed the bandwidth? Financial pressures! So what should a policymaker interested in alleviating poverty do with this information? “One thing you want to do is facilitate bandwidth. You want to think of ways to make things easier,” the report says. The authors of Portfolios of the Poor: How the World's Poor Live on $2 a Day—an influential account of how people at the "bottom of the pyramid" live on the little money they have—described the financial lives of the poor as a "triple whammy" characterized by low, irregular, and unpredictable incomes. The authors also argued that the poor need appropriate tools to manage their financial lives, and that they might actually need these tools more than their wealthier counterparts. So what do appropriate financial tools for the poor look like? They should be: a) reliable, deliverable at the promised time, in the promised amount, and at the promised price; b) convenient, enabling nearby, quick access, privately and unobtrusively; c) flexible enough to make it easy to reconcile transactions with cash flows; and d) have a structure that would regularize the transactions to promote self-discipline. In our study, we attempted to investigate the effect of a mobile phone-based financial service designed for the poor which incorporates some of the design principles described above. We believe that the service made it easier for the poor to conduct some transactions, possibly freeing up some mental bandwidth. 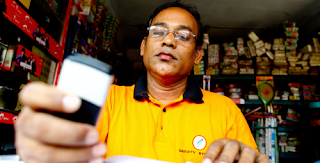 We interviewed 245 users of a mobile phone-based micro-financing service. The service is offered by a micro-finance institution (MFI) in Kenya called Musoni. Musoni stands for “Mobile Future.” The MFI offers 100% mobile phone-based services enabling loan applicants to receive their money to their mobile phone within 72 hours of application and repay it anytime with mobile money. For cash-in-cash-out services, Musoni rides on the M-Pesa agent network. M-Pesa (M for “Mobile” and Pesa for “Money”) is the revolutionary money transfer service offered by Safaricom in Kenya, well documented in the book Money, Real Quick: Kenya’s Disruptive Mobile Money Innovation. The study had two broad objectives: a) to establish whether or not Musoni clients recognized any socio-economic impact of utilizing technology-based financial services, and if so whether or not the perceived benefits drove them to use cash less and less; and b) to establish the impact of cashless, mobile micro-financing on the users’ lives, particularly if there was any implied shift from cash to e-money. The results of the study showed a great appreciation of mobile money as a result of bundling conventional MFI services with e-money. 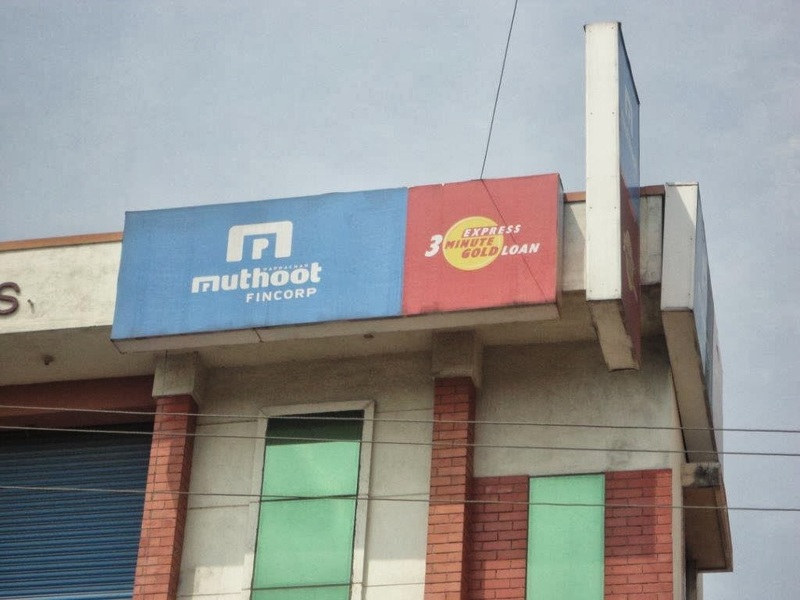 Most of the respondents initially held accounts with other MFIs, but 59% of them had shifted entirely to using Musoni only. Expressions such as “I don’t need another MFI” were common during focus group discussions. Over 75% of the respondents found the option of using mobile money to repay their loans faster and more convenient. Transferring small amounts of money (e.g. KSh 80 to 400, approximately USD 1 to 5) can cost as much as 20% of the amount being transferred in fees. However, it was interesting to observe that 34% of the respondents felt that using the mobile money channel actually saved them money. The factors determining the cost saving include the amount being sent (which would determine the transfer fee), how far or remote the location where the money is being sent is (which would determine if mobile money is the most convenient), and/or the urgency of the receiver getting the money (which would determine if mobile money is the fastest means). 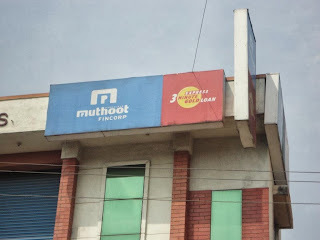 When asked why they would consider Musoni over any other MFI, two factors were ranked highest by the respondents: the speed of transactions, followed by convenience. It can be inferred that if users saw benefits to using mobile money for MFI transactions, they would be likely to use e-money in other transactions as well. Almost all of the respondents said that they keep money in their mobile phones for other uses besides loan repayment. The amount kept varied significantly, but based on the discussions most respondents had been increasing the amount that they store. Upon receiving the loan, most respondents do not withdraw all of it at once, resulting in temporary storage of money. Some researchers have viewed this as a form of savings, while others have argued that it really depends on how we define savings. As a tool for managing finances, the respondents generally indicated an improvement in certain aspects such as greater convenience for tracking their money. The fact that they kept money in electronic form even when they did not intend to use it to repay loans indicates a preference to use e-money to do some money management. 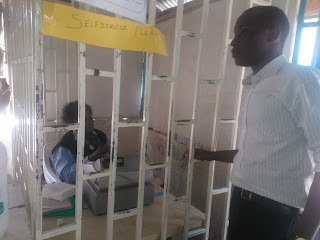 There were also barriers to the use of mobile money. A cash culture among the people whom they exchange money with ranked highest as an obstacle to using mobile money. Cash remains king, partly because of transaction fees and lack of infrastructure to facilitate backend transactions for small businesses. Musoni targets small traders operating in defined areas, who are expected to organize themselves for group lending. Most of the funds received are ideally expected to be used for growing their businesses. As such, besides family members, business partners who are within the vicinity are the main recipients of the funds from Musoni clients. To avoid transaction fees, it makes more sense to walk a short distance and pay in cash. “If I send mobile money to my supplier, he expects me to send him the withdrawal fee. This means I have an additional fee to incur besides the transfer fee. I may as well walk over or wait to pay him in cash since he comes around often. This translates into a delay, but I can live with that,” says Onyango, a carpenter operating at Gikomba Market in Nairobi. The design principles for financial instruments for bottom of the pyramid consumers are becoming clearer, but not many deployments exist yet. Would services based on these design principles result in higher uptake and have other expected outcomes? Financial exclusion among the world's poor is still very high, yet mobile phones are finding their way to the remotest areas of the world. Maybe it’s about time that more radical experiments are done to help rethink and possibly achieve better delivery of financial services to the poor. I have been using cash this weekend. Exclusively. On Thursday, my credit card was skimmed at a neighborhood gas station. Within 9 hours, the thief had charged up over US$800 at stores and gas stations all over Los Angeles. By looking at charge times and locations, you could almost imagine him or her on the freeway, driving from store to store, seeing how far and for how long my card would go. The experience taught me an important lesson: even in my relatively cashless life, it’s a good thing I have options. I have options because of redundant infrastructures. And I have access to redundant infrastructures because the payments industry in the developed world has relied on co-opetition—cooperative competition that ensured the rapid growth of the card networks and other payment providers. There’s a lesson here for telcos getting into the business of mobile money. Read the rest of this post at the GSMA MMU Blog. What is mobile money as an object of research? And how do we best design research programs and methodologies for it? These were the topics of a paper that Heather Horst and myself presented at the Ethnographic Praxis in Industry Conference in London in September. Designing mobile money research is complex because mobile money is itself complex. Simultaneously a commodity and a social good, mobile money is applicable to a broad range of uses and users. It incorporates the qualities of money, as a store of value, medium of exchange, and unit of account. And because mobile money depends upon mobile technology, it cannot be readily separated from practices of communication, at least insofar as we want to understand how users incorporate it into their everyday lives. Mobile money therefore lends itself readily to both quantitative and qualitative analysis. Like mobile money itself, mobile money research is in its early days. To date, research has primarily consisted of single-country studies that deploy qualitative methods and/or surveys with a few dozen to a few hundred people. A smaller number of multi-country studies have been done. Collectively, these studies have generated significant insights into mobile money users, challenging common views of mobile money as simply a remittance service or a “product for the poor.” They show how mobile money is incorporated into the everyday lives of a broad range of users, including individuals of different social demographics, microenterprises, larger businesses, NGOs, and governments. 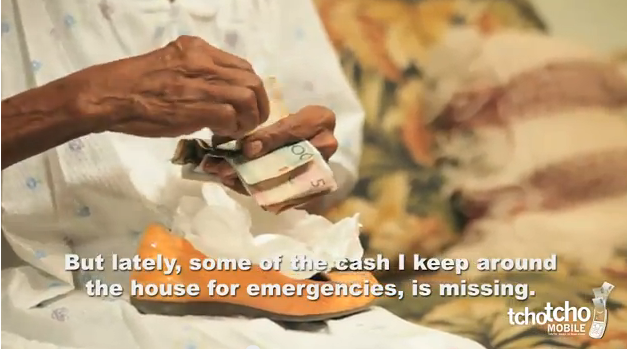 More than remittances: An elderly woman deposits her savings in her mobile money account to prevent theft (stills from TchoTcho Mobil's "Keep Cash Safe" advertisement). Photo by Tcho Tcho Mobile. The advances generated by mobile money research to date are fantastic, but there is much more to be done. Our research on mobile money in Haiti highlighted numerous problems that could benefit from strategic investigation. In our paper we focused on three of these: time, trust, and traces / trajectories. The maturation of mobile money markets takes time. A mobile money market in the first few months of deployment is unlikely to resemble the same market one, two, or five years down the track. As we discovered via comparing official maps with our own explorations at street level, there are many things that can be misrepresented in official accounts, especially in the early days of deployment. We discovered illegal or quasi-legal uses of mobile money, such as the seconding of agent services to unregistered businesses. One year on, much of what we discovered had changed beyond recognition. These include the demographics of mobile money users, adoption by businesses, and services available. While “snapshots” of mobile money use can provide fantastic insights into current practices, longitudinal and repeat studies can give us a far better picture of trends in mobile money markets. They can also help us identify to what extent security issues are the result of “teething” problems as opposed to more entrenched difficulties. Trust is a major factor in the successful scaling of mobile money. To sign up for mobile money and make transactions in an agent or on their phone, users need to be confident that the system will work as claimed, and that they will not be exploited. Social proof can go a long way in engendering trust and facilitating uptake. However, there are different layers of trust that affect mobile money use. A lack of trust can facilitate mobile money adoption in cases where people seek to store their cash with greater security, either because they fear they will be robbed, or because they fear they will spend it if they keep it in their pocket. A further issue is whether companies are replacing states as the trusted providers of social goods. What are the implications of mobile money as part of a shifting trend of governance? A comparison of our interviews with external survey data helped us gain a picture of how states, companies, and citizens negotiate issues of trust in Haiti. With regards to traces / trajectories, we suggest that research into how mobile money facilitates the circulation of cash would benefit keeping in mind that money does not move by itself. It moves via the actions of people, it moves through the mediation of technologies, and it moves with people and other goods. Given that money, people, and objects often travel together along similar trajectories, tracing how they accompany one another can give depth to our understanding the trajectories of cash. While we are excited about the possibilities of “big data” to visualise circulation, qualitative methods and mapping will add depth to our understandings of how these trajectories work in practice. We argue that mobile money research can be taken to the next level in four key ways: by integrating mixed methods, building multidisciplinary teams, conducting comparative global studies, and investing in longitudinal research. We would like to see more mobile money research that plans an integration of methods from the outset–how will different methods complement each other, compensate for blind spots, and so on? What are the barriers in terms of accessing insider information for different methods? What kind of partnerships and collaborations may need to take place to gain a richer understanding of mobile money in practice? Finally, we propose that in order to choose the right methods and approaches to mobile money use, we need to take a broad view of what mobile money is. 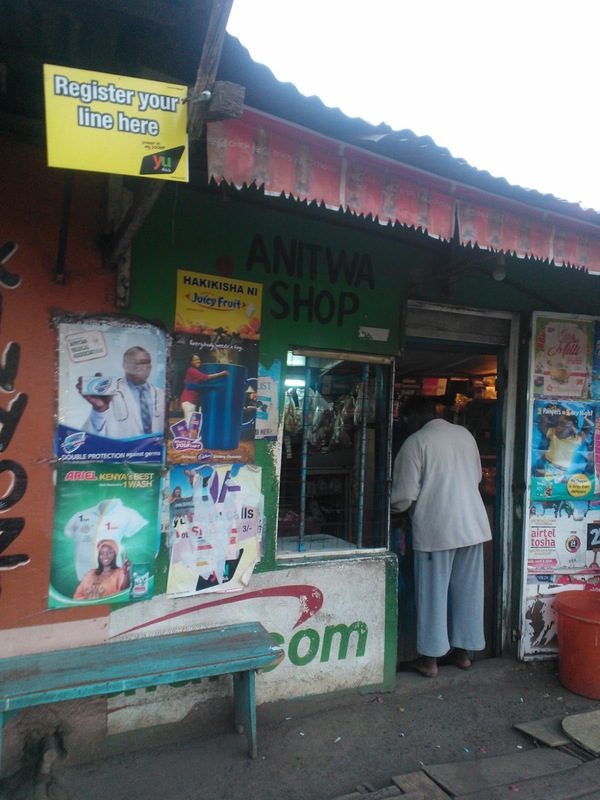 A view of mobile money as a socioeconomic development tool could benefit from understanding mobile money as part of material culture as well as financial practice. Understanding its broad nature will help us specify the right questions and choose an appropriate combination of methodologies. Click here to see more on mobile money by the author, and click here to see her book, Materializing Poverty. Click here to see previous IMTFI funded work in Haiti.